Thanks to Brain Baker for aerial photo. we need a manual valve body for a 350 turbo does any have 1 or know where we can find 1. It was a great opening day. 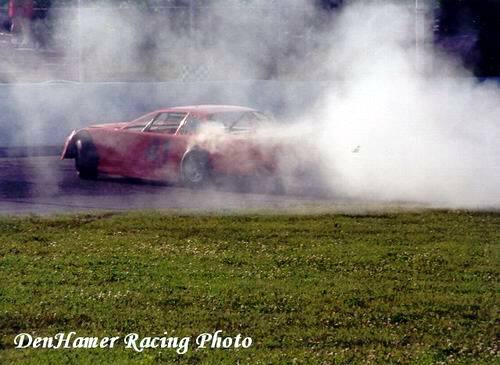 about 80 to 90 cars on hand ,, great crowd please go to denhamer photos to get updated pictures. or follow on galesburg sites there are several thank you. looking for photos of bongo5 driver paul smith around 1960-1968. I think this is great news to know that Galesburg will be operating for the 2012 season. so many tracks are hurting but continue to operate. That just shows the dedication of owers, promoters, sponsors, fans and of course the racers. No one wants any tracks to suffer or close (whether it be ovals or dragways). We, as fans, have got to attend local tracks to keep this sport alive. We cannot control the weather, but we can control the attendence on the nice days/evenings. God Bless Michigan Racing overall!!!. I think you guys should make the oval track it to A drag strip there are A lot of oval tracks around we need more drag strips to keep young kids from drag racing on the streets A place where young and old pepole can enjoy as A family. I think more pepole would some out to A drag strip with there cars of all kinds I no if it was A drag strip I would spend most of my money out there racing. We need more drag strips around like the one that was in 1955 out at the air port in battle creek michigan. Thanks Tom for buying this speedway, if you EVER need help i live right on your property where your wife lives lol so LET ME KNOW if you need help painting etc. Thank tou Tom Mcghee for buying the track. 2012 is a new chapter for Galesburg and its gonna be packed with great racing, so come and check it out opening night April 28 2012. Rule meeting Sat. 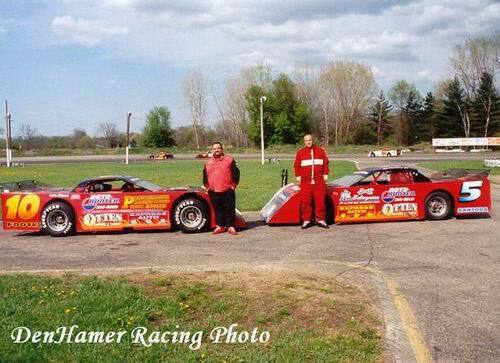 Nov. 12 2011 at Tom Mcghees race shop in Battle Creek contact Jim Woodin for more info. As of today galesburg speedway HAS A NEW OWNER will be back open in 2012. Terry Woodin. Please contact me at martyb@acd. net. my computor took a dump and I lost my contacts. It was a neat thing back in the 50's when the tracks ran the extra lap races of 200 to 500 laps. I remember hearing a story about Gordy qualifying with his regular tank and then coming out with a 55 gallon drum on the back. Everybody was afraid he was going to incenerate them all if he crashed. Sure enough he did crash in that race but nobody was around him to burp their car when they slowed down and cause a back fire which would shoot flames out. Most people felt Gordy had the talent to go to the big time. they just didn't think he would live long enough. 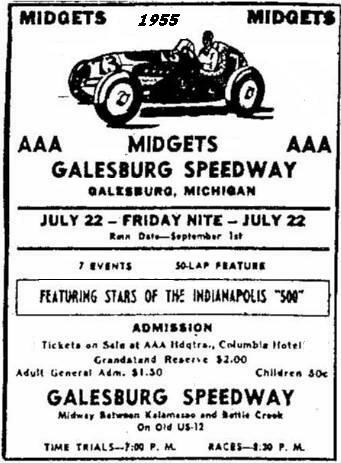 I remember the Galesburg 500 lappers, 1956, 1957, 1958 and 1959. Art Bennett won the first one, Nelson Ward the 2nd one, Gordon Johncock the 3rd one, amazingly Gordy had a roof lifting off his car, drove and won the race one handed I was there and witnessed this feat Ralph Holcomb, won the last one in 1959. Thank you, Terry Woodin. The Warning family announced last week that Galesburg Speedway would be closing it's doors for the remained of 2011 and possibly beyond. If anyone has pics of the mid 60's & back when they ran mini stockers i would really like to see them as some may have my brother in them who i lost a few years ago. History!!! 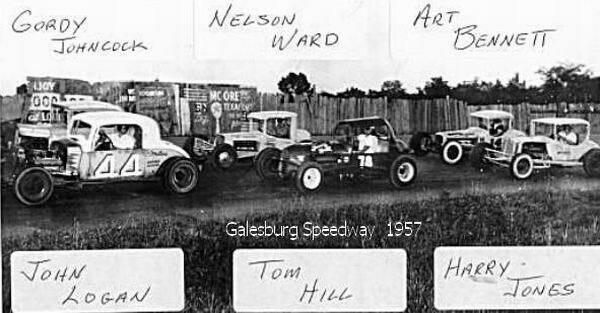 Does anyone remember the Galesburg 500 run late 50''s early 60''s ?? Supermodifieds with oversized fuel tanks( sometimes 55gal drums! ). Spectaters refunded ticket if they would hand score. 500 laps of attrition. The name Rex Crowfoot comes to mind. looking for old pics of mike mosley and marv losey my dad mike has been in hospital for 6 months not sure hes gunna make it out thot some pics would bring back sum good memorys for him to laugh little bit any help wood b appreciated thanks shawn mosley. So sorry to learn of Johnny Logan''s passing. One of the greatest supermodified heros of all time. Just a note, Johnny Logan passed away a few weeks ago. We''ve lost another one of our Hall of Famers. Condolances to his family and friends. My dad watched him race for years back in the old days along with the Joncocks and Sam Sessions. 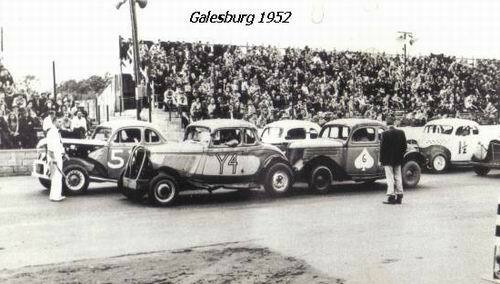 R.
from my research:Galesburg Speedway opened in 1947 as a dirt track. In the 1940’s this little plot of land became known as the Galesburg Speedway. The 2003 season marks the 56th year of operation. The Galesburg Speedway has its sites set on the future. Better safety, and promoting good will in the racing community, the surrounding area, and bringing prosperity to all concerned. 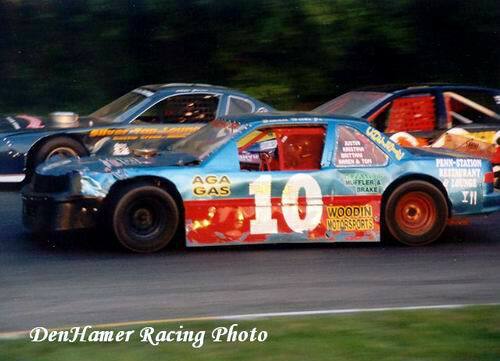 Galesburg Speedway has been offering Southwest Michigan with some of the finest and most action packed racing for fifty-six years. As the sport of auto racing continues to grow, Galesburg Speedway is still bringing the most exciting racing that has ever been seen. 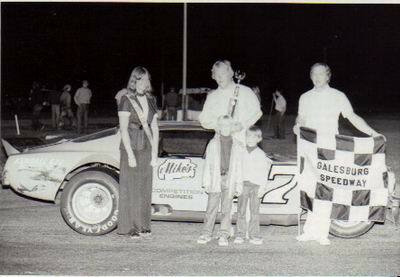 Galesburg Speedway has always been the family track and it still remains that way. 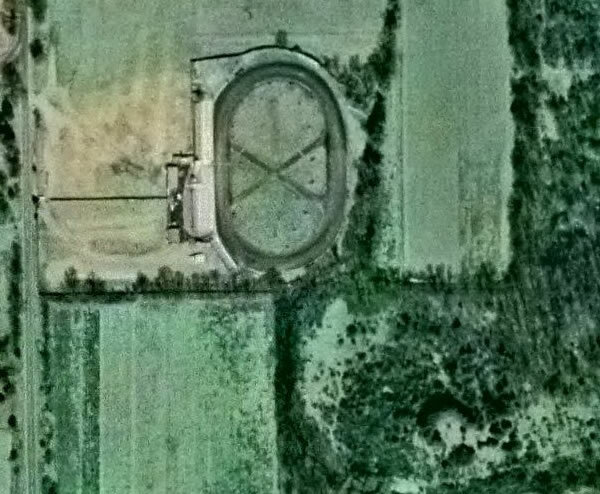 The Beebe Family built the speedway in 1947 as a dirt track. It then went on through a few families until 1998 when the Warning Family took over ownership from The Bloomfield Family. The track owner Ralph Warning has been around racing his whole life, and has always dreamed of owning a racetrack. 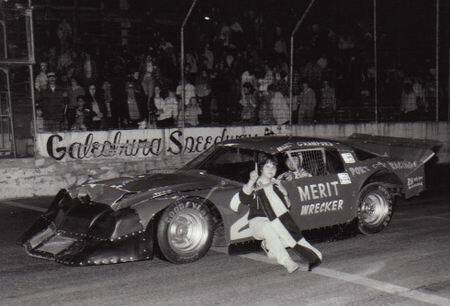 Ralph grew up in the Otsego area as he helped the VanSparentack’s, Martin’s, Harrington’s, William’s and Blanchard’s on their racers and raced himself in 1976. Worked for Tri-Sac as a Race Director when they were a sanction in the Midwest in the mid 1970’s. Ralph has been in business for himself for 25 years. He has 4 children, oldest daughter Jeana Smith, twin daughters Lisa Magierka & Lori Warning-Head and son Ryan Warning and 5 Grandchildren, Elizabeth, Tyler and Joshua Smith, Mackenzie Warning-Couch and Alexis Warning. 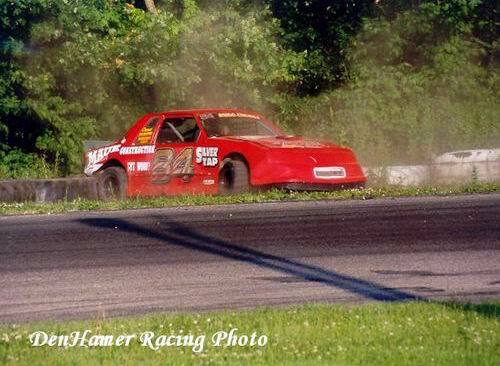 All four children were raised around racing and the daughters have followed racing very closely as their brother Ryan raced for 5 years at Kalamazoo Speedway and 1 year at M-40 Motor sports Arena until giving it up to take over some of the responsibilities with Dad.